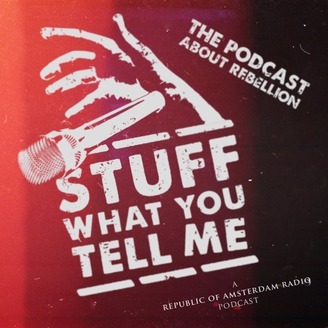 Stuff What You Tell Me! 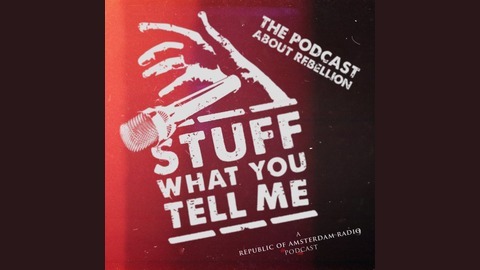 is a podcast telling stories of rebellion and resistance in history, art and culture. Created by two contrary Australians living in Amsterdam, the Netherlands, we explore the wider role of rebellion in history, by delving into the experiences of people whose lives and actions were defined by defiance. Release schedule: In keeping with our theme, we resent the imposition of scheduling agendas, so we release episodes whenever we feel like it. We aim for at least one a month, and if you don't like that then hey, stuff you. Announcement: Yet another project we've done that is not this one! Stuff What You Tell Me comes out of one of the most remarkable countries on earth: The Netherlands. This underrated, little swamp has, for well over a millennium, punched far above its weight in terms of influencing global culture, language, philosophy, commerce, religion and cheese. Its history is one that, we felt, needed to be recognised in a way that can be appreciated by a modern, podcast-listening audience. So, with great joy, let us introduce 'The History of the Netherlands' podcast In it, we tell the story of this special swamp, and how it grew into becoming a global superpower, as well as exploring its important role in the wider historical developments in Europe and the world over the previous thousand or so years. To listen, search for History of the Netherlands wherever you download your sweet, sweet audio-rumblings. Once you've found us, hit subscribe!